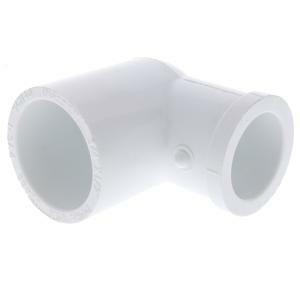 This Schedule 40 PVC Slip x Slip Reducing Elbow is used to connect PVC pipe of different sizes in a 90° turn. Fitting has slip connections and is compatible with Schedule 40 PVC pipe of corresponding sizes. Slip connections require primer/glue.